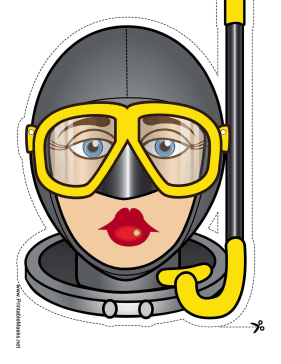 This diver mask has a snorkel, yellow goggles, and a black wetsuit. This mask is perfect for kids who love to swim! This mask is free to download and print.